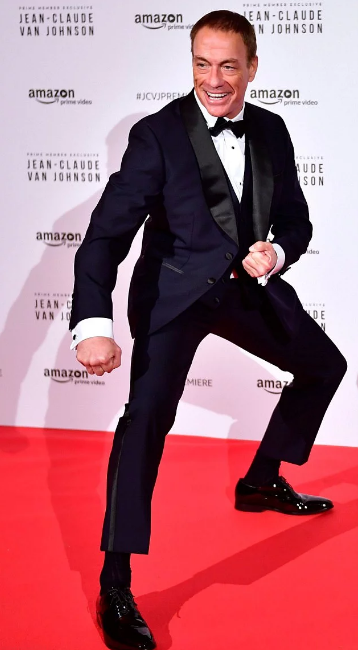 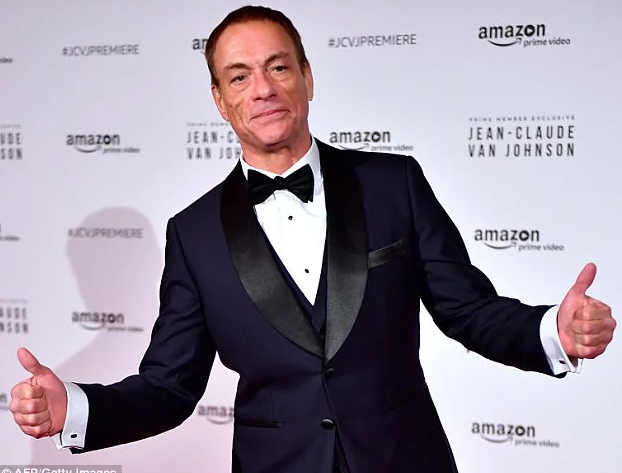 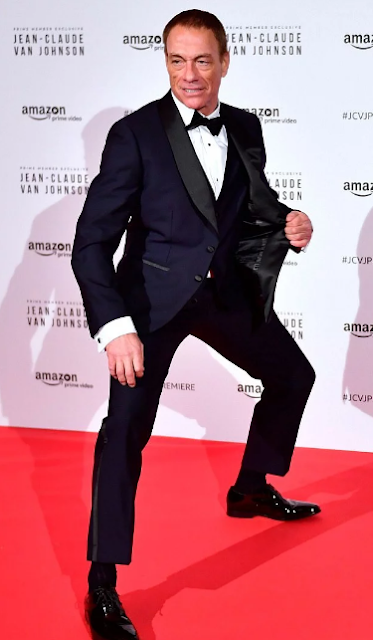 Veteran Belgian actor, Jean-Claude Van Damme, who is known for his martial arts action films, was pictured in a happy mood at the premiere of his new Amazon Prime series 'Jean-Claude Van Johnson' at the Grand Rex Theater in Paris on Tuesday. 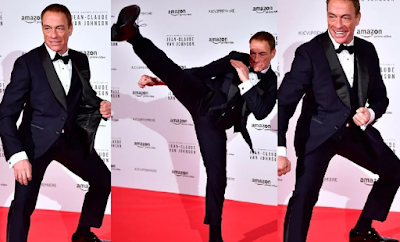 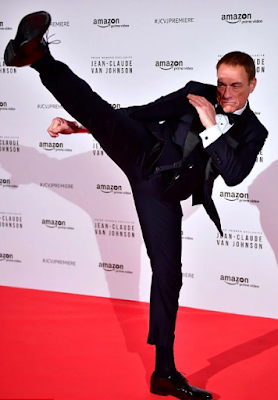 The 57-year-old actor who made his breakout role in 1988's Bloodsport, showed off his legendary martial arts moves, in a black tuxedo on the red carpet. 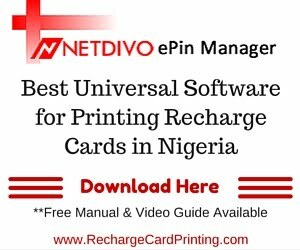 In the series, which is set to debut tomorrow, December 15, 2017, Van Damme plays a global martial arts and film sensation who is the world's best undercover private contractor.